This is a fun idea! 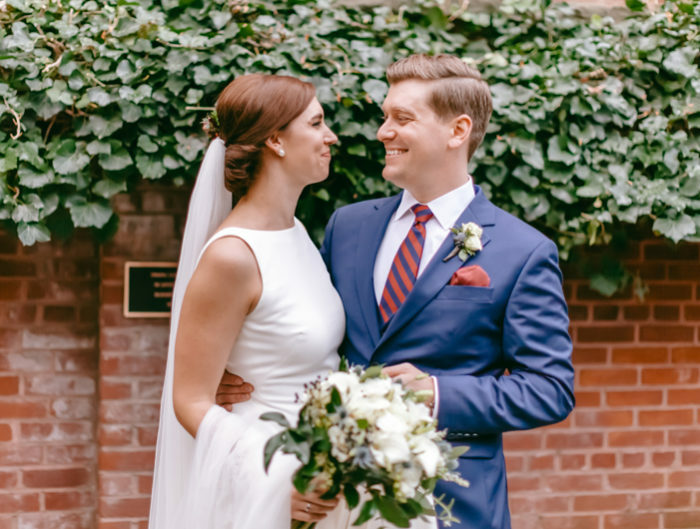 Alicia and Kevin were married this past May in Alexandria, Virginia, and they chose to celebrate their Virginia wedding over the course of two days! 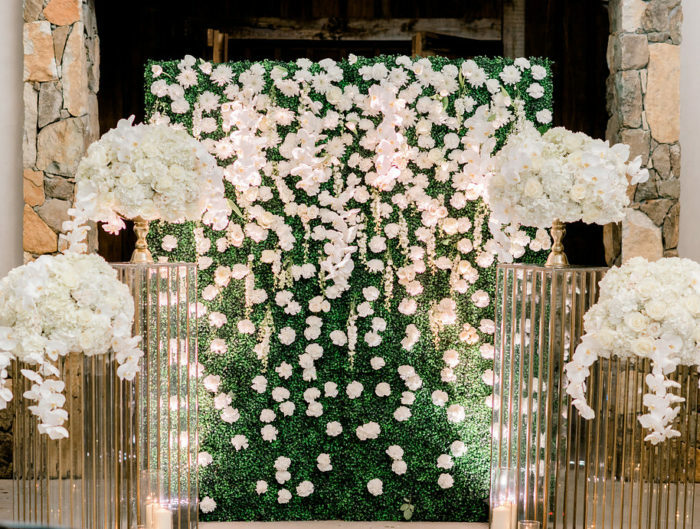 The festivities started with a family-only garden ceremony at Hollin Hall, followed by a larger reception the following night in Old Town. 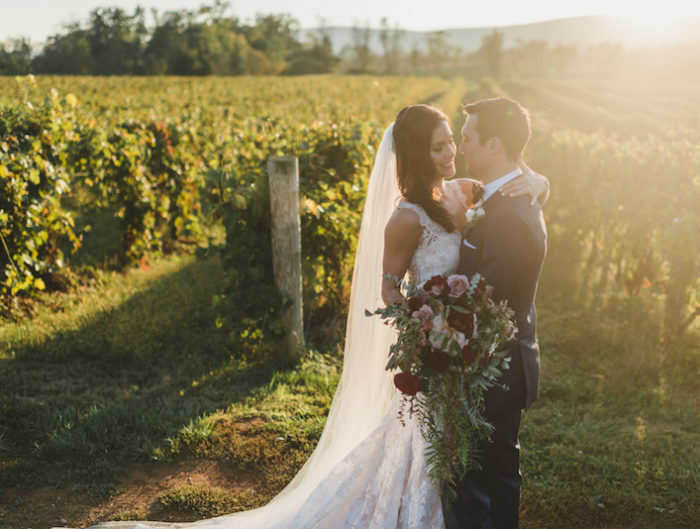 Alicia chose a beautiful color palette of reds, oranges, and turquoise blue, with all the details captured by Stephen Gosling Photography. The best part of a two-day wedding? Alicia got to wear her dream wedding dress twice and with two very different looks! From Alicia: Our wedding was about family both being able to share our moment with them, and also the people closest to us getting to share it with each other. Our garden wedding ceremony was only for our immediate family, followed by a dinner for parents and bridal party. It was important to us that the people closest to us get to meet each other and share the evening together. The next evening we had a larger gathering with a reception for family and friends. The reception was cocktail style with stations and 3 hours of dancing. I have always loved fall weddings so I picked a spice color and made it more fitting for a spring wedding by mixing in turquoise blue. I put a lot of thought into the attire. The groomsmen wore coral ties with turquoise dots and Kevin wore a turquoise tie. I made the boutonnieres with feathers and blue ribbon that matched a feather fascinator that I wore in my hair on the evening of the reception. I was also able to sport a romantic look wearing my hair down and a ivory sash for the ceremony and then jazz it up the next night with a different hair style and a red sash that matched my shoes! It was a lot of fun getting to wear my dream dress two different days and look totally different both times! Since the ceremony was family only, we used pictures from the ceremony as the centerpieces for the reception. We also had touches of a game theme since one of three rooms at the reception venue was a library. We wanted guests to feel like they were in a home. Our guest book was a stack of cards that we asked guests to write messages on, our gift box was a backgammon board game, and scrabble letters were used to write out messages on tables. My favorite memory from our wedding will also be the first dance with my husband. I just remember I couldn’t stop laughing with Kevin. Also the speech my sister the maid of honor gave was beautiful and very heart felt. Always assume you are going to go over your budget by $5,000. Things always seem to have to be added in no matter how much you try. At first we budgeted out major things to save money but as the year went on we realized other things, like transportation and food options, needed to be done for the comfort of the guests. Also make sure you really communicate with your groom about the guest list. Family only was difficult for us as time went on because some of our family thought that meant their family as well, but we had to stick together and explain what we wanted.